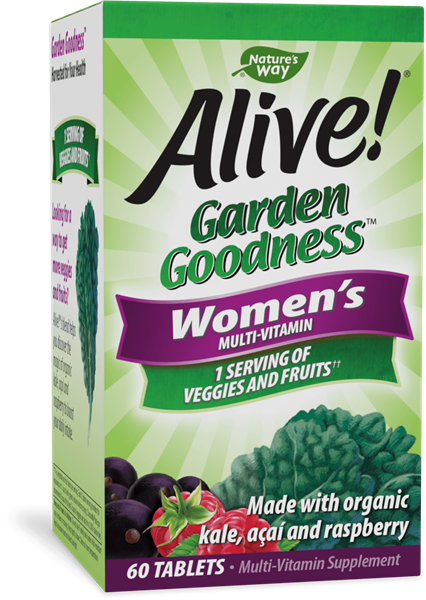 Alive!® Garden Goodness™ Women's Multi - Nature's Way®. Not recommended for men or children. If you are pregnant, nursing or taking any medications, consult a healthcare professional before use.